Also known as manic-depressive illness, Bipolar Disorder is a brain disorder that causes an individual to experience unusual shifts in mood, energy, levels of activity, and the ability to perform daily tasks. The mood shifts range from the “ups” of manic episodes, to the “lows” of depressive episodes. Symptoms of manic episodes include increased energy level, feeling jumpy or wired, difficulty sleeping, having fast thoughts or talking really fast, and being agitated or irritable. For depressive episodes, symptoms include feelings of sadness, hopelessness, or emptiness, having very little energy, difficulty finding enjoyment, or thoughts of death or suicide. 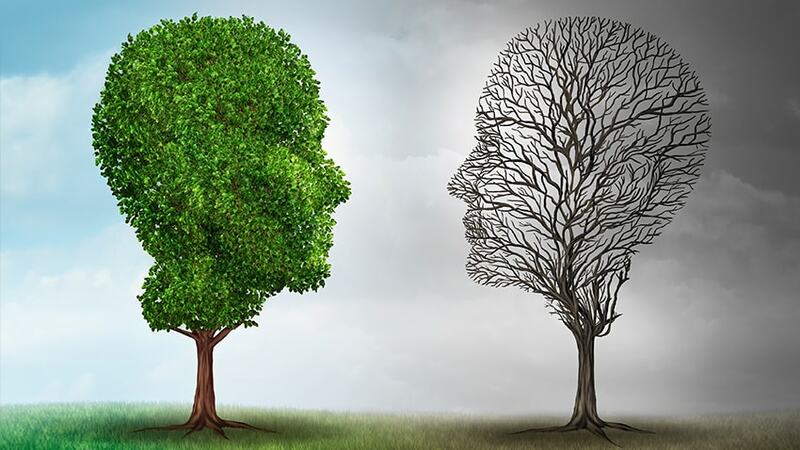 Bipolar I Disorder – Manic episodes last for at least 7 days, or symptoms of mania become so severe that immediate hospital care is needed; depressive episodes are also present, lasting for at least 2 weeks. It is possible that both episodes, having depression and manic symptoms, can occur at the same time. Bipolar II Disorder – Consists of a pattern of depressive episodes and hypomanic episodes, less severe manic periods; not the full-blown manic episodes that occur in Bipolar I Disorder. Cyclothymic Disorder – Also called cyclothymia, this type of bipolar disorder is defined by numerous periods of both hypomanic systems and depressive symptoms that last for at least 2 years (1 year for children and adolescents). These symptoms, however, do not meet the diagnostic requirements for a hypomanic and depressive episode. Other Specified and Unspecified Bipolar and Related Disorders – These are defined by symptoms of Bipolar Disorder that do not match the categories listed above. Although Bipolar Disorder is a lifelong illness, diagnosis and treatment are crucial in improving the lives of those affected by this disorder. An effective treatment plan consists of a combination of medication and psychotherapy. If you or a loved one is suffering from Bipolar Disorder, the licensed professional psychologists, psychiatrists, psychiatric nurse practitioners, and psychotherapists at Arista Counseling & Psychotherapy can assist you. Contact our Paramus, NJ or Manhattan, NY offices respectively, at (201) 368-3700 or (212) 722-1920 to set up an appointment. For more information, visit http://www.counselingpsychotherapynjny.com/. National Institute of Mental Health (2013). Bipolar Disorder. Retrieved March 20, 2015, from http://www.nimh.nih.gov/health/topics/eating-disorders/index.shtml.